Sunday, May 12, 1 p.m. (during the Spanish Mass). Receptions will follow in the Parish Hall. Sacramental preparation periods are times of special grace and expectation. When it comes to receiving First Holy Communion, Jesus comes to us in a unique way through the Eucharist. We receive Him into our body and our soul, which is very beautiful, personal, and intimate. We should not take it for granted! But how do we go about preparing our children to receive such a special grace? 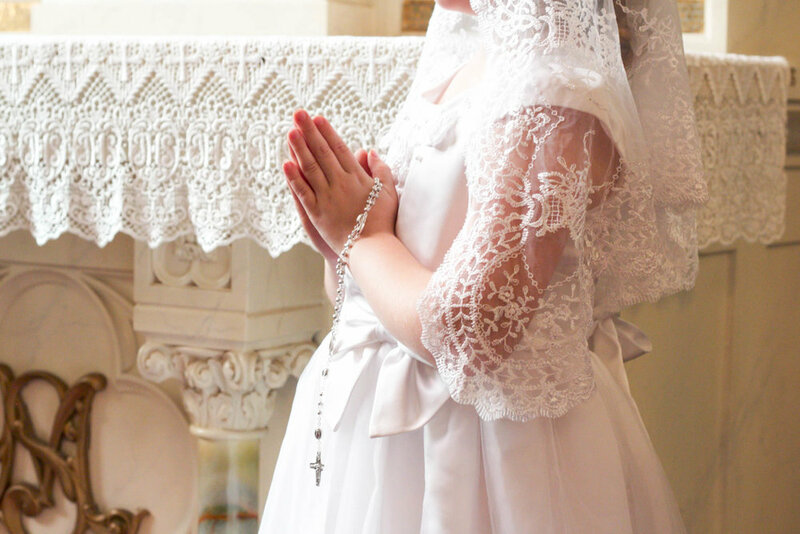 Parishioners are provided tools and resources needed to help guide them through the process, so as to make receiving First Holy Communion a special, sacred and holy experience. Is your child ready to receive Jesus through the Eucharist for the first time? Join us for weekly Sacramental Preparation classes, specifically designed for children who will be in 2nd grade in the fall. For questions about enrollment information and a list of class dates and times, contact Carrie Harkey, Director of Evangelization. We look forward to walking through this journey with you and your family! Your Children will love the new content on FORMED - programs, ebooks, movies and talks that will entertain, engage and inspire them with the beauty and wonder of their faith.